Rooted in Jack Miller’s illustrious career and teachings it’s now carried on by his proteges. Jack’s legacy of quality RE education using creativity and ingenuity without losing sight of Integrity lives on! CashFlowdepot has been a tremendous helpful tool to my business. Well informative information from real people doing real deals. Thanks for honest advice. 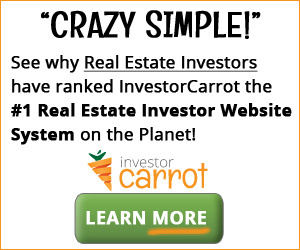 I have spent a lot of $ with other real estate programs and have not found one with as much info to cost ratio & networking of real life investors. CashFlowDepot is THE place to be in you want to learn how to do real estate investing from real people who have been in the trenches. I defy anyone to get through all this materials and information on thie web site. Great conference calls, discussions, topics, and updates on market trends. There is no better value for the money out there – anywhere. Join today and find out for yourself! I just wanted to let you know how much value I’m getting for my subscription to CashFlowDepot. One of my New Year’s resolutions is to make better use of the website. Since January 1st. I’ve discovered just how much information is available on CashFlowDepot. Thank you so much for creating CashFlowDepot. CashFlowdepot is without a doubt the greatest value for the money in real estate training. Great educational materials. I signed up for CashFlowDepot at it’s onset. For the value it is truely the best source of information available. To be able to continue to learn from Jack Miller’s information is really priceless.